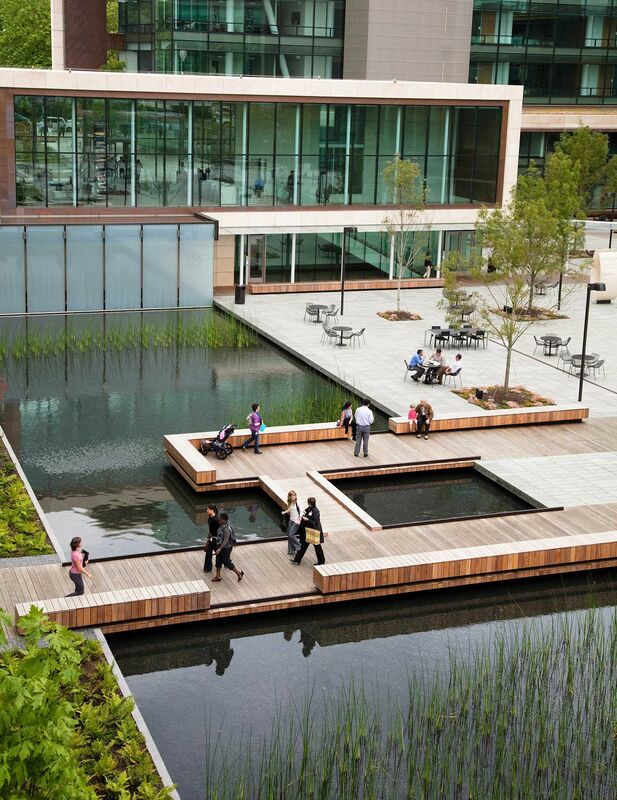 Located in downtown Seattle, the Bill & Melinda Gates Foundation Campus is designed as a locally grounded environment for global work and dialogue. Historically, the campus’s urban site was a dark-watered bog in a wetland meadow. 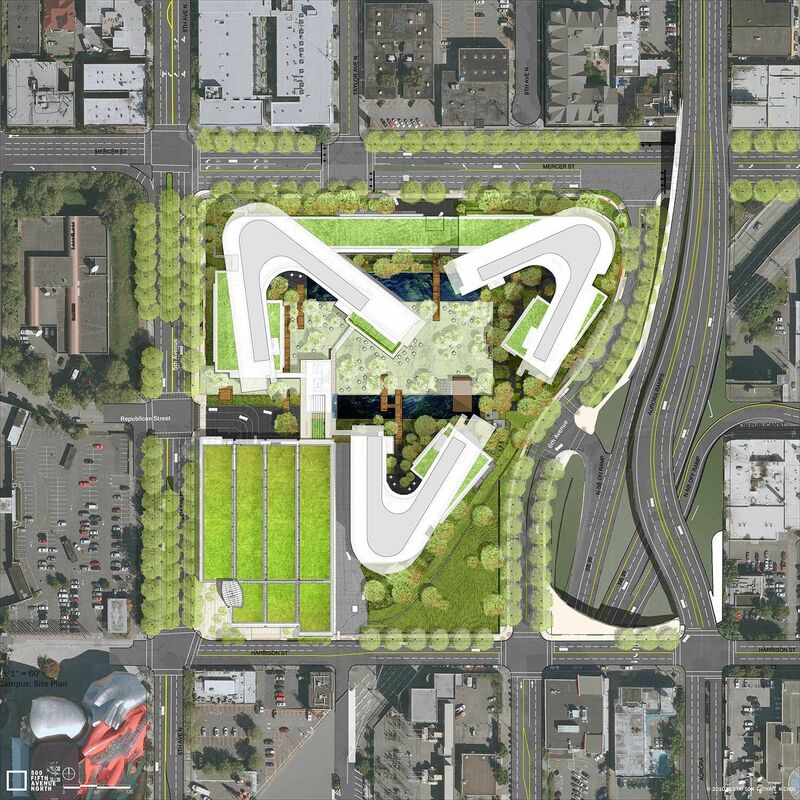 This natural history became the springboard for revitalizing the site, which over time had become badly degraded and isolated from adjacent neighborhoods. 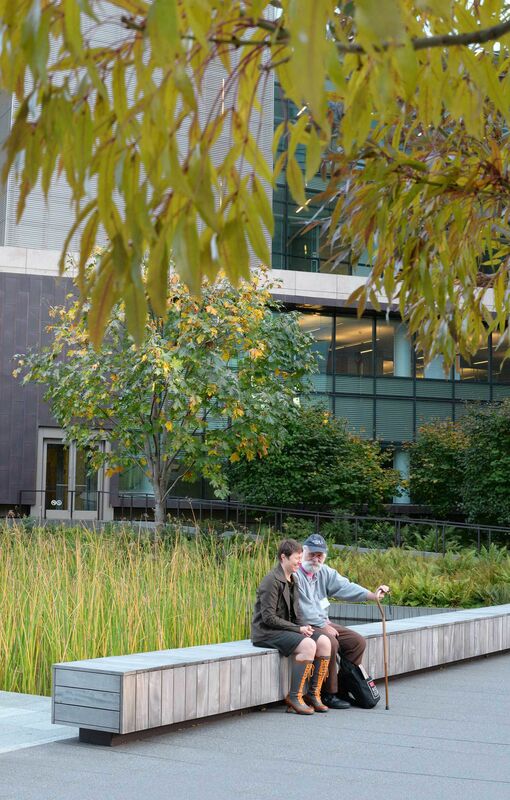 To integrate the campus into the dense surrounding neighborhoods, landscape features – including pathways and water edges – are aligned to the street grid and adjacent buildings. 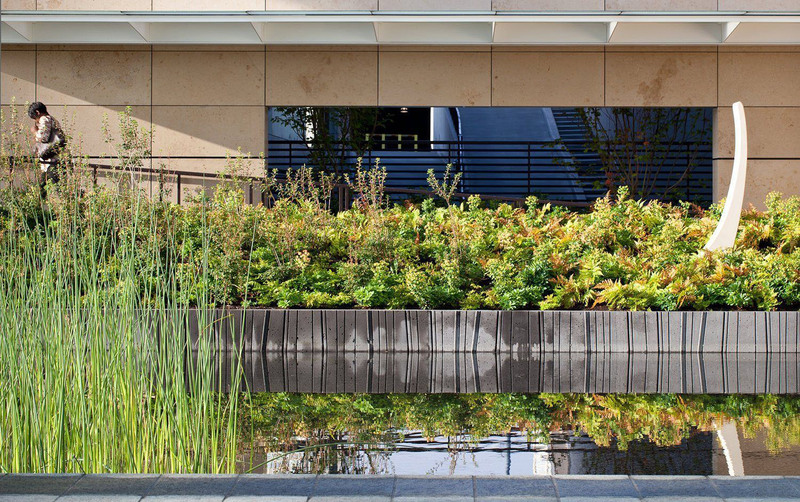 An internal courtyard ‘floats’ on rainwater gardens planted with native reeds, and the campus is planted with native and edible plants, including blueberries and Big Leaf Maples. 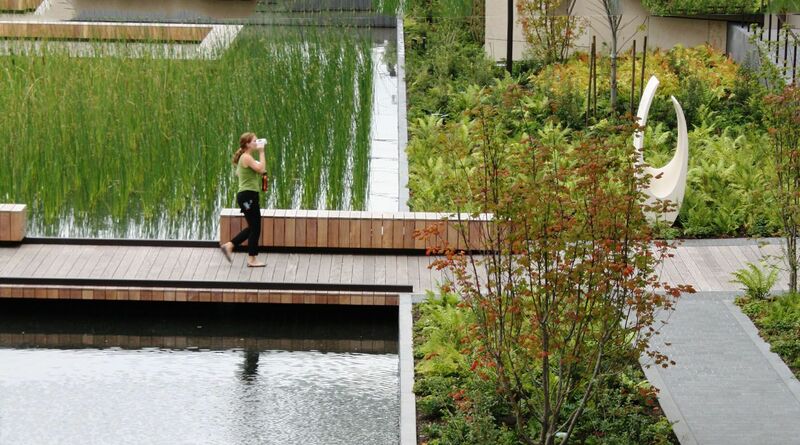 Rainwater is filtered by green roofs and directed from paved areas into a million-gallon cistern. 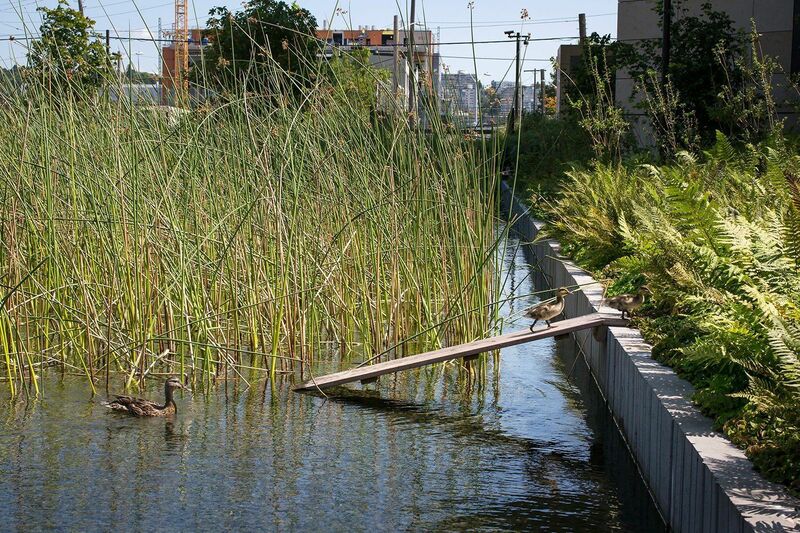 Implementing this new approach to water stewardship set a precedent for other projects in urban watersheds. The campus is currently harvesting 3.3 million gallons of rainwater a year. “Share the Wealth,” Betsy Anderson. 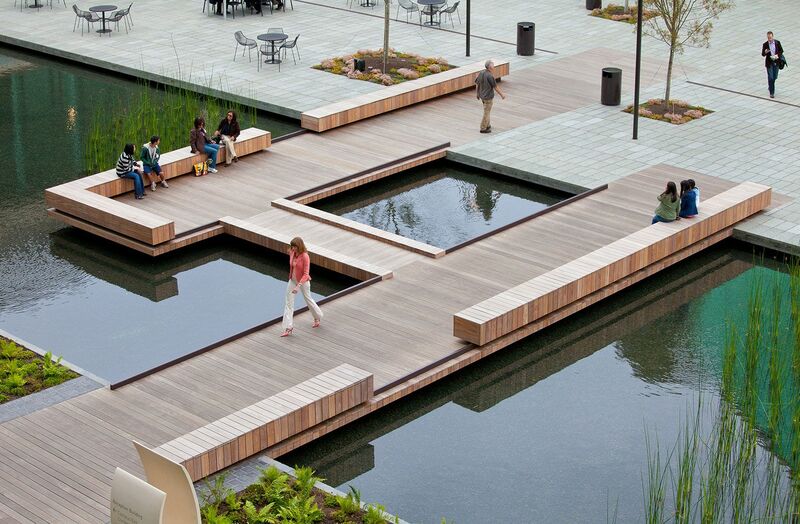 Landscape Architecture Magazine, November 2014. 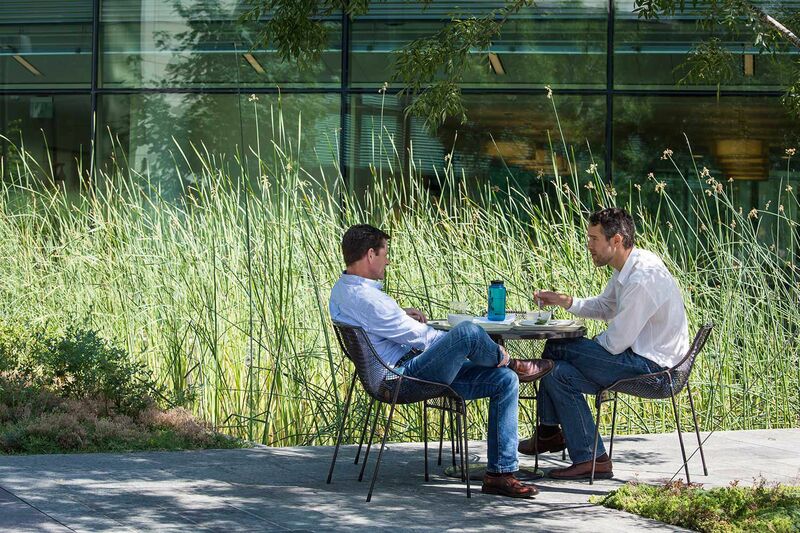 “In Seattle, a Humble, Mindful Campus,” J. Michael Welton. 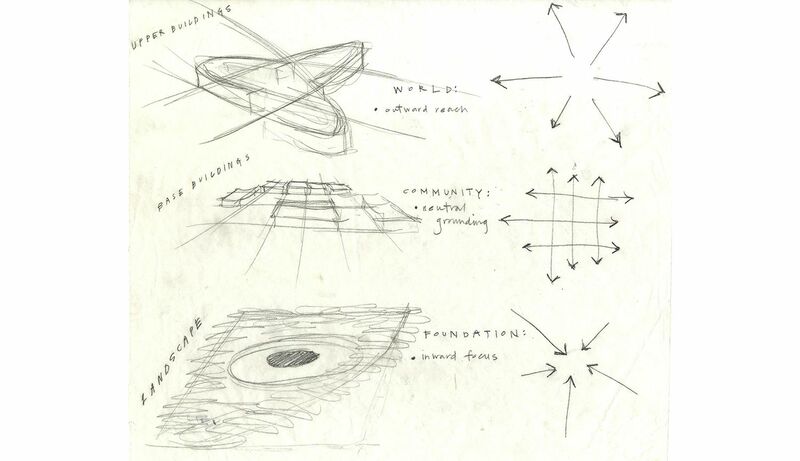 Architects + Artisans, October 2, 2014. 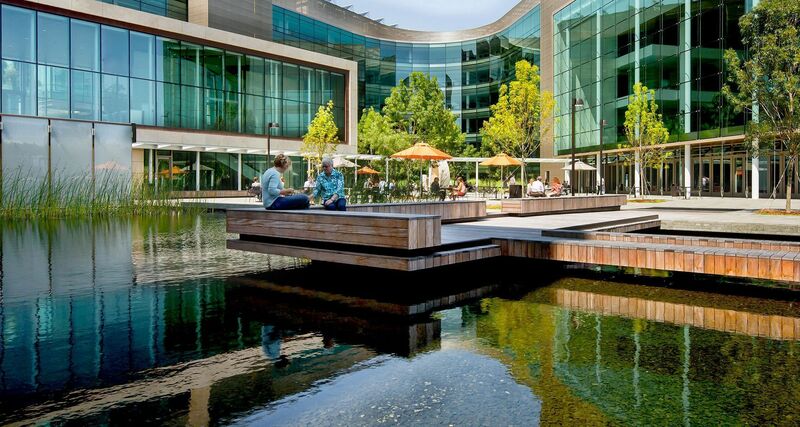 “Shannon Nichol puts her mark on Gates Foundation Campus,” Valerie Easton. The Seattle Times, July 9, 2011.